WNBA Draft 2019 presented by State Farm saw a junior selected with the No. 1 overall pick for the just the third time in league history as Notre Dame guard Jackie Young is headed to Las Vegas. Young was just getting things started for the Irish, who saw their entire starting lineup selected, marking the first time that had happened in WNBA history. In total, 36 players saw their childhood dreams of being chosen to play professional basketball come true on Wednesday night in New York City. With the 2019 season set to tip off in just six weeks, let’s take a look at how each team did in addressing its needs and bolstering their roster. If you’re only going to have one pick in a 36-player draft, its best to have the first selection. The Aces picked first for the third straight season and added Jackie Young to their core of youthful talent that already includes No. 1 overall picks Kelsey Plum (2017) and reigning Rookie of the Year A’ja Wilson (2018). With Young, the Aces get one of the top all-around players in the draft, a strong and versatile guard that can play multiple positions. She has great athleticism and quickness to help her get to the basket, combined with strength and toughness to absorb contact and finish in the lane. The 6-foot guard averaged 14.7 points, 7.4 rebounds and 5.1 steals for the Irish this season while shooting 52.8% from the field and 45.2% from beyond the arc on limited attempts. The Liberty finished last season as the second-lowest scoring team in the league with only Tina Charles averaging double figures in points. They had to get a playmaking guard that can score and help take some of the load off of Charles’ shoulders. Enter Asia Durr, one of the purest scorers in college basketball this season and a player that should be able to contribute right away for the Liberty. Durr has a pair of 47-point games on her resume and the ability to score on all three levels – she’s has the quickness and creativity to get to the basket in isolation sets, her threat to drive allows her to get open pull-ups, which she knocks down regularly and she made 96 3-pointers this season at Louisville. Continuing the theme of drafting for need, the Fever addressed a major issue from last season’s 6-28 finish by adding 6-foot-7 center Teaira McCowan with the No. 3 pick in the draft. 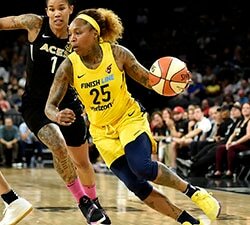 The Fever finished second-to-last in points allowed (85.7), allowed the league’s highest effective field goal percentage (52.3%) and blocked the fewest shots (92). In McCowan, they add an elite rebounder (13.5 per game) and rim protector (2.4 blocks per game) to anchor their defense. And McCowan is just scratching the surface on her potential offensively. She shot 66.2 percent from the field as a senior, but that will be tougher to maintain against the talented bigs in the WNBA. 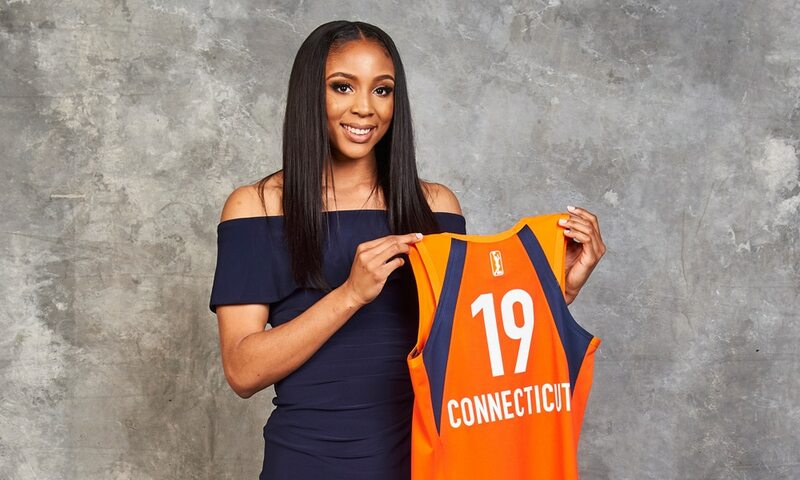 The Fever also had a pair of third round picks, which they used to selected North Carolina guard Paris Kea (25th overall) and Georgia forward Caliya Robinson (28th overall). Kea averaged 17.3 points and 3.9 assists as a senior – numbers that were down from her junior season – but she showed flashes of potential with seven games of 25+ points, with two coming against the defending champs from Notre Dame. Robinson adds more defensive depth to the roster, as she led the SEC in blocks (2.47) while earning her third All-Defensive Team selection. After setting the WNBA record for most assists in a season, Courtney Vandersloot just got another sharpshooter to look out for, following the Sky’s selection of Katie Lou Samuelson with the fourth overall pick in the draft. The 6-foot-3 wing from UConn should be a perfect fit because new Sky coach James Wade wants to play fast and put up a ton of points. Samuelson shot 41.5 percent from beyond the arc in her four years at Connecticut and has the ability to hit spot-ups and pull-ups from deep. In the second round, the Sky added Final Four Most Outstanding Player Chloe Jackson from Baylor. The 5-foot-8 combo guard ran the point for the national champion Lady Bears after spending her career playing two-guard. That versatility will come in handy for a team that wants to get out and run. With their third round pick, the Sky added Maria Conde, a 6-foot-1 small forward from Spain who will compete for a roster spot on this deep team. The Dallas Wings may open the 2019 season with some question marks surrounding its star duo of Liz Cambage and Skylar Diggins-Smith. The pair combined for 40.9 points per game — the second highest scoring combo output in the league. With the fifth overall pick, the Wings added Arike Ogunbowale, the hero of the 2018 Final Four, and one of the top perimeter scorers in the country. In addition to her scoring prowess, Ogunbowale has also evolved as a playmaker, increasing her assists each year of her Notre Dame career, including 3.8 per game as a senior. She excels in transition and can create her own shot against all types of defenders. In addition to adding Ogunbowale, who finished 12th in Division I in scoring at 21.8 points per game, the Wings also added the country’s top scorer Megan Gustafson (27.8 points per game) with the 17th overall pick. Gustafson was a scoring machine for Iowa as she led the country in field goal percentage (69.6%) while doing most of her work in the post, but showed the ability to face up, as well as work with her back to the basket. Later in the second round, the Wings selected UCLA guard Kennedy Burke, who did a little bit of everything for the Bruins as she averaged 15.4 points, 6.2 rebounds, 2.3 assist, 2.0 steals and 0.9 blocks per game as a senior. With their final pick, the Wings took forward Morgan Bertsch with the 29th overall pick. The 6-foot-4 forward average 23.6 points per game and led UC Davis to just their second appearance ever in the NCAA tournament this year. The Lynx entered draft night with five selections – including their first top 10 pick since 2012 – and holes to fill for the first time in years. 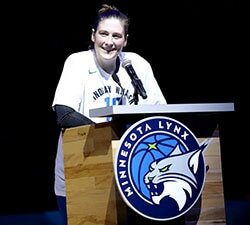 With Maya Moore not playing this season, Lindsay Whalen retired and a veteran-heavy roster, the Lynx could use an influx of young talent. 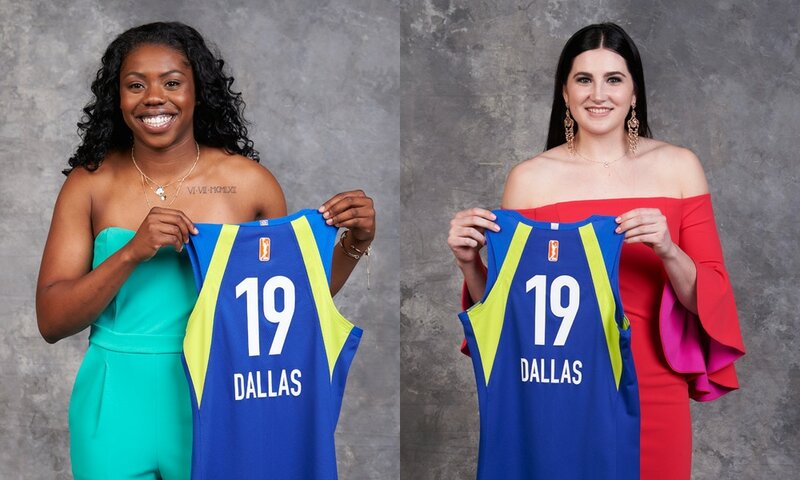 The 2019 WNBA Draft delivered just that. It began with Napheesa Collier, the sixth overall pick, and arguably the most complete player in the draft. The versatile 6-foot-2 forward from UConn averaged 20.8 points, 10.8 rebounds, 3.5 assists, 1.5 steals and 1.7 blocks while shooting 61.2% from the field. The only blemish on her impeccable resume is a 28.3 shooting percentage from 3-point range. Outside of that, she is ready to contribute on both ends of the floor from day one. But things were just getting started for the Lynx, who used the 16th pick to add Notre Dame’s Jessica Shepard. Last September at USA Basketball Training Camp, Lynx head coach (and USA Basketball assistant) Cheryl Reeve pushed Shepard to get in better shape in order to play at the next level. Shepard listened and shed 40 pounds before her senior season at Notre Dame began. Seven months after that conversation, Reeve drafted Shepard to the Lynx. 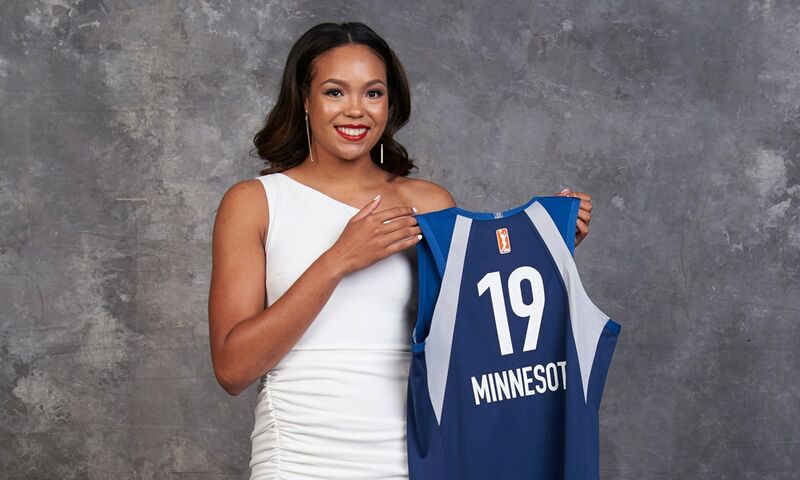 Two picks later, the Lynx took Marquette guard Natisha Hiedeman, but later traded her to Connecticut in exchange for guard Lexie Brown – the No. 9 pick in the 2018 WNBA Draft. Two picks later the Lynx were up again and added Buffalo guard Cierra Dillard, who finished as the second-leading scorer in Division I at 25.2 points per game. She could provide instant offense off the bench with her ability to create her own shot. The Lynx capped the night by selecting a local in guard Kenisha Bell from the University of Minnesota to compete for a roster spot. 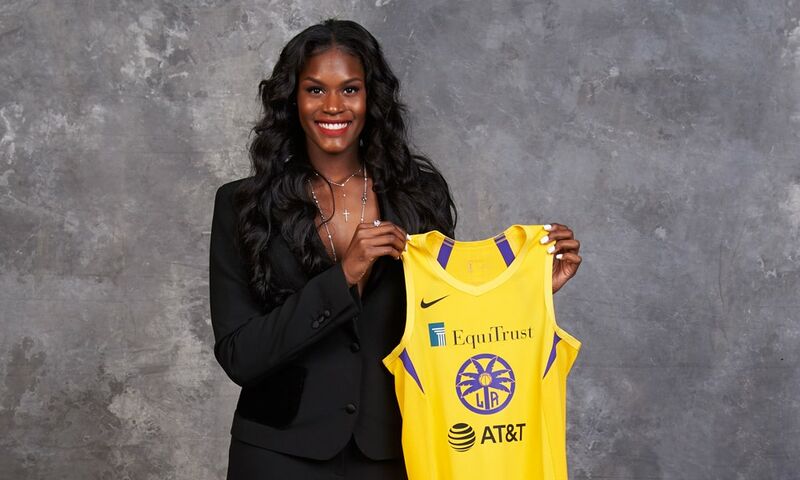 Three days after winning a national championship with Baylor in Tampa, Kalani Brown was in New York for the WNBA Draft, where she was selected by the Sparks with the seventh overall pick. This sends her cross country to Los Angeles. 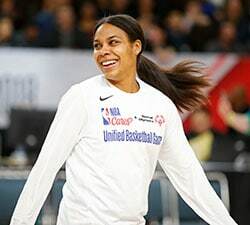 While Brown racks up frequent flyer miles, the Sparks will hope she can rack up some points and rebounds for them as a complement to Candace Parker and Nneka Ogwumike on the L.A. frontline. Brown stands 6-foot-7, has a pro-ready body, great hands and an arsenal of post moves that helped her average 15.8 points on 61.4 percent shooting to help lead the Lady Bears to the national championship. The Sparks ranked last in rebounding last season (31.3 per game, 47.2 rebound percentage), which is something Brown can definitely help improve upon under first-year coach Derek Fisher. 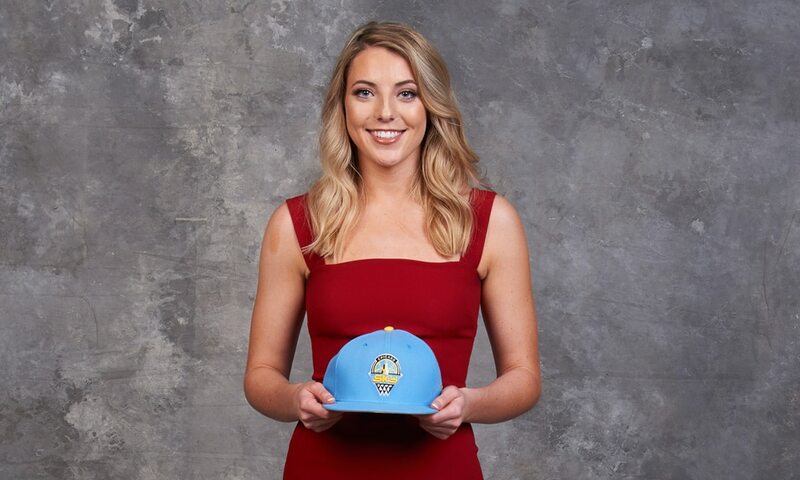 In the second round, the Sparks added Notre Dame guard Marina Mabrey with the 19th overall pick. Mabrey brings plenty of big-game experience to the table, having played in back-to-back national championship games with the Irish. She also has deep shooting range (40.8% as a senior) that can help open up the floor to give players like Parker, Ogwumike, Odyssey Sims and Chelsea Gray more room to create. In the third round, the Sparks added Spanish guard Ángela Salvadores, who will compete for a roster spot come training camp. 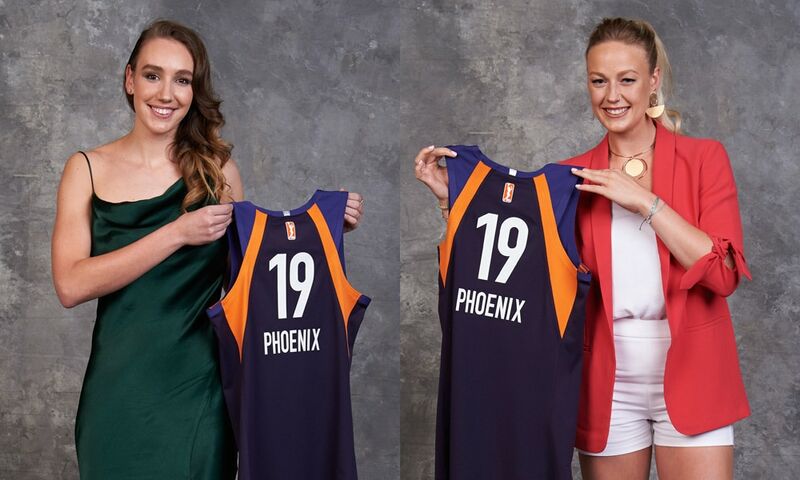 The Mercury had a busy draft night with three selections of their own and a draft night trade that brought a second first-round pick into the mix. Phoenix used the eighth pick in the draft to select Alanna Smtih from Stanford. The 6-foot-4 forward is a perfect fit for the Mercury, who needed a stretch four in their lineup. 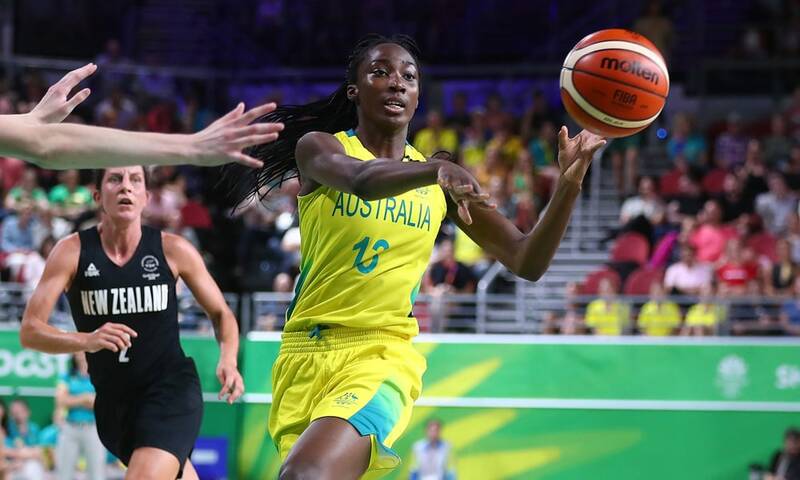 Smith, who played for Mercury coach Sandy Brondello with the Australian national team, averaged 19.4 points, 8.6 rebounds and 2.2 blocks this season, while shooting 51.5% from the field and an efficient 39.7% from beyond the arc. Her ability to play inside and out should make her a great complement to Brittney Griner and give opposing teams headaches. Behind Griner (who has led the league in blocks every year of her career), the Mercury averaged 4.7 blocks per game – ranked second in the league. Well the block party isn’t going to end anytime soon as the Mercury acquired Brianna Turner – the 11th pick in the draft – from the Atlanta Dream for center Marie Gülich. Turner returned from a torn ACL to help lead Notre Dame to the national championship game, showcasing her strong defensive prowess (2.79 blocks per game, 9th in D-I) and ability to score with high efficiency (63.1 FG%, 5th in D-I). In the second round, the Mercury added Missouri’s Sophie Cunningham, who brings passion, physicality and attitude with her whenever she steps on the court. She is also a versatile guard that can drive the lane and shoot the three (40.3% from deep as a senior). In the third round, the Mercury selected Louisville guard Arica Carter, who did a little bit of everything for the Cardinals as she averaged 8.5 points, 3.1 rebounds, 2.9 assists, 1.9 3-pointers and 1.0 steals as a senior. When it comes to evaluating team needs, the Sun didn’t have any glaring holes to fill. One position of strength was rebounding, as they led the league in both offensive rebound percentage (31.3%) and total rebound percentage (53.6%). So what did the Sun do on draft night? They drafted the top rebounder in Division I this season (16.2 rebounds per game – 2.7 more than Teaira McCowan in second place. ESPN noted that Anigwe collected more rebounds than any player (man or woman) in any division (I, II or III) this season. She had eight games with at least 20 rebounds and a remarkable 30-30 game. Anigwe averaged 22.5 points to go with her 16.2 rebounds per game. Her offensive game is still developing (she shot 30.4% from three on 23 attempts as a senior, after just 15 attempts in her first three seasons combined). She can finish inside with both hands and has a great motor to chase offensive rebounds for putbacks. She’s athletic and can run the floor, which should help her fit in with a Sun squad that ranked fourth in offensive pace last season. 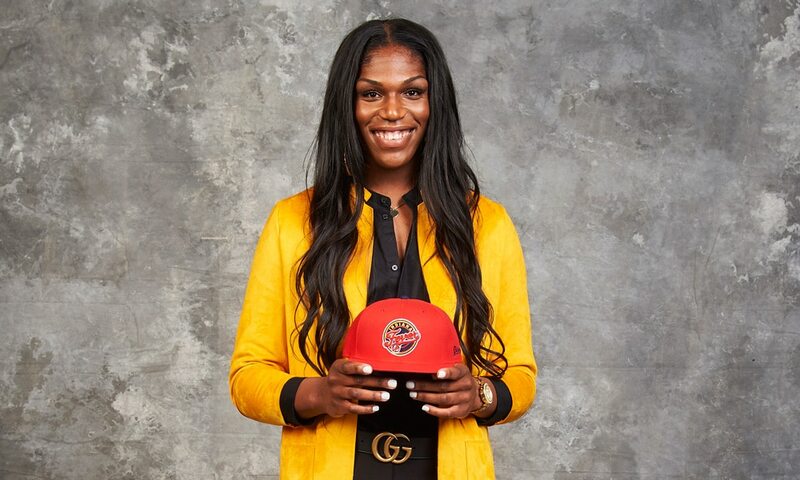 Another player that excels in transition is Natisha Hiedeman, the 18th overall pick in the draft who the Sun acquired in a trade for Lexie Brown. Hiedeman averaged 18.1 points, 6.2 rebounds, 4.5 assists and 2.1 steals as a senior and shot 39.2 percent from beyond the arc. With the 21st pick, the Sun added Bridget Carleton from Iowa State. The 6-foot-1 combo guard showed great versatility for the Cyclones as she averaged 21.7 points, 8.6 rebounds, 4.0 assists, 2.3 steals and 1.2 blocks. She shot 37.1 percent from beyond the arc while making 2.1 threes per game. With their final pick, the Sun added Regan Magarity from Virginia Tech with the 33rd overall pick. The 6-foot-3 forward from Sweden will compete for a roster spot on this deep team. The Mystics are coming off their first WNBA Finals appearance and will look to challenge for the championship again in 2019 with much of the same roster coming back. There is one key addition to go with Wednesday’s draft picks and that is Emma Meesseman, who missed all of last season while preparing to play in the FIBA Women’s Basketball World Cup with the Belgian national team; Meesseman was named to the tournament’s All-Star Five after leading Belgium to the semifinals and a fourth-place finish. In addition to Meesseman’s return, the Mystics also selected two players in the draft that can help add depth to their roster. 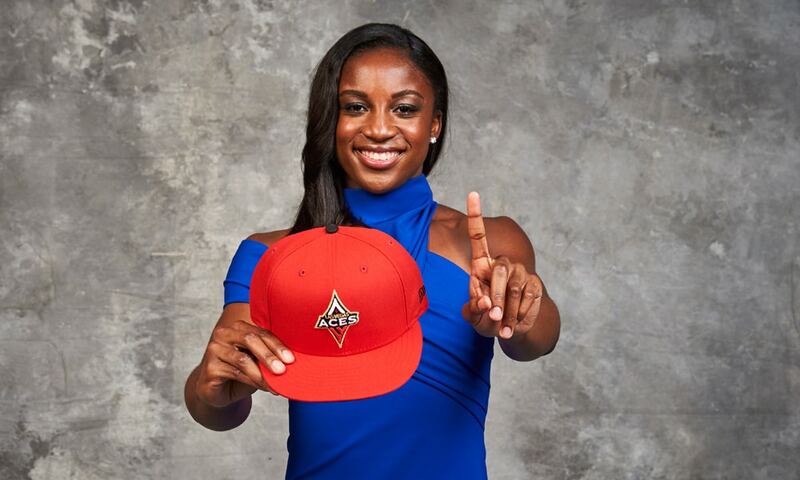 In the first round – 10th overall – the Mystics selected Kiara Leslie from NC State. Leslie may be the best two-way guard in this draft class thanks to her versatility and athleticism. She can defend the opposing team’s best perimeter threat while also contributing 15.9 points, 7.2 rebounds, 2.8 assists and 1.1 steals and shooting 38.1% from beyond the arc and splashing two treys a game. The combo of Leslie and last year’s first round pick Ariel Atkins could be a dangerous duo moving forward. In the third round – 34th overall – the Mystics added Sam Fuehring from Louisville, giving the Cardinals three draft selections. Fuehring averaged 10.8 points and 7.2 rebounds as a senior and shot 37.5% from beyond the arc on limited attempts (15-40 on the season). During any draft, one of the most exciting phrases to hear is “we have a trade to announce,” as it brings another element of drama to an already exciting night as teams look to improve their rosters. 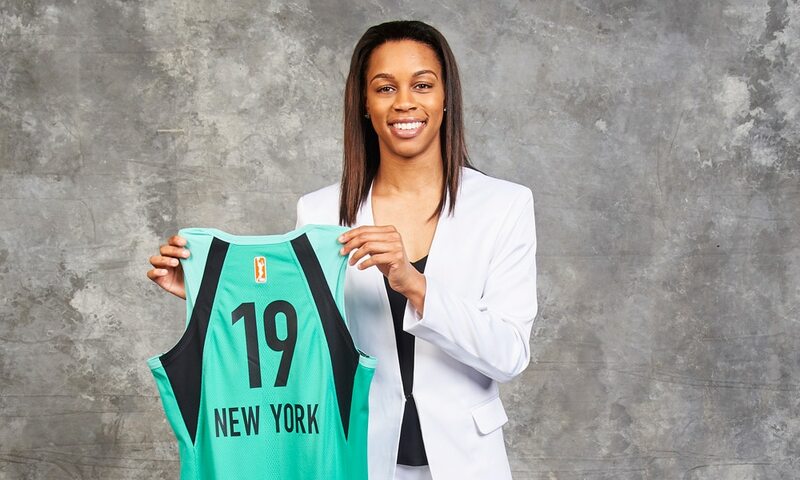 The Dream made the first draft night trade when they sent the rights to Brianna Turner – who Atlanta selected with the 11th overall pick – to Phoenix in exchange for Marie Gülich. 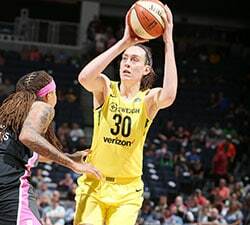 Gülich, who played sparingly for the Mercury last season as a rookie, is a player the Dream targeted last year but were unable to select since they did not have a first round pick. A year later, Gülich is now a member of the Dream, giving Atlanta a post player that can stretch the floor and play in transition (Atlanta played at the league’s second-leading pace last season). 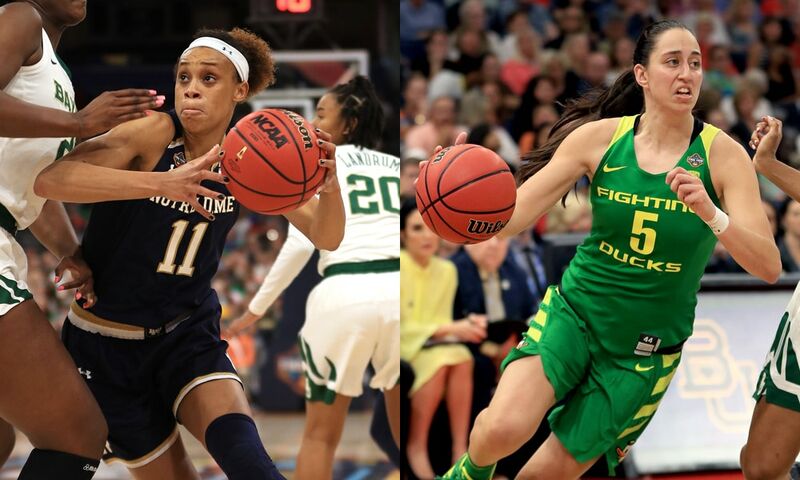 In the second round, the Dream added Oregon point guard Maite Cazorla, who brings a combination of experience at the collegiate and international level, as she has played with the Spanish national teams since she was 13. Cazorla is a pure point guard that knows how to set up her teammates, can shoot the three (41.2% as a senior), plus she is a strong perimeter defender. She should be a solid back up to Renee Montgomery. In the third round, the Dream selected Chinese center Li Yueru, who may not join the team until 2020. The defending champs entered the draft without any real holes to fill, instead looking to add depth to the roster and prepare for the future. With their first pick – 12th overall – the Storm selected 19-year-old Australian center Ezi Magbegor, who will report to the team in 2020 as part of the Storm’s long-term strategy. Standing 6-foot-4, Magbegor is an outstanding athlete with a ton of raw talent that will need to be honed and developed. There is great upside to her game and the Storm have the luxury of time to let her develop before needing her on the active roster. With their second pick the Storm added Anriel Howard from Mississippi State. While Howard may be undersized on paper (she is listed at 5-foot-11), she makes up for her lack of height with tenacity and great instincts. She is a great rebounder (8.4 per game), a strong defender and has an offensive game that is continuing to develop (she shot 51.2% from the field and 33.7% from beyond the arc on over two 3-point attempts per game last season). With the final pick of the draft, the Storm added South Dakota State guard Macy Miller, who led the Jackrabbits to a Sweet 16 appearance in the 2019 NCAA tournament.